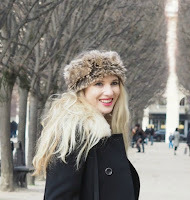 I hope to get every one of my readers in a creative mind set today. I am not an artist or that good at being creative but I like to give it a good go! Obviously I like writing and I am even thinking of taking up knitting to knit a massive chunky merino wool blanket – look how pretty they are! Now I am bringing my award winning poem skills back into action (this time I won't be plagiarising) don't judge I was like 8. Why am I talking about being creative?! Because it's bloody important, not only for the world but for yourself and your mind. I find colouring helps my stress levels and controls my anxiety and I only started this year. Great Western Railway just revealed that over a third of people in the UK are letting their creativity die just because they are "adults”, this makes me cry and this is such a poor excuse. 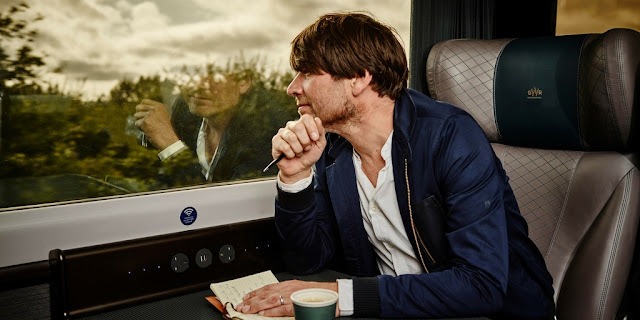 Do not worry though GWR, with writer and musician Alex James has launched a national poetry competition encouraging passengers to pen a poem inspired by the incredible country views when traveling through the West Country. So grab a pen and hop on a GWR train. Many award winning writers have used rail travel as inspiration think of J K Rowling and Harry Potter. This competition is not just for fun there is an amazing prize to be won: free rail travel for a year on GWR, as well as a selected 'immersive' seat - with the best views in the 'house' perfect for any budding creative. Your winning poem will also become famous featuring on station posters around the GWR network. Be quick through as the first 50 to enter will receive a free GWR ticket - how can you not enter it is free travel! To enter the competition, please visit here for more information and T&C's. Entries close on 3rd November. "Jump on a train with Great Western Railway. And start writing right away.